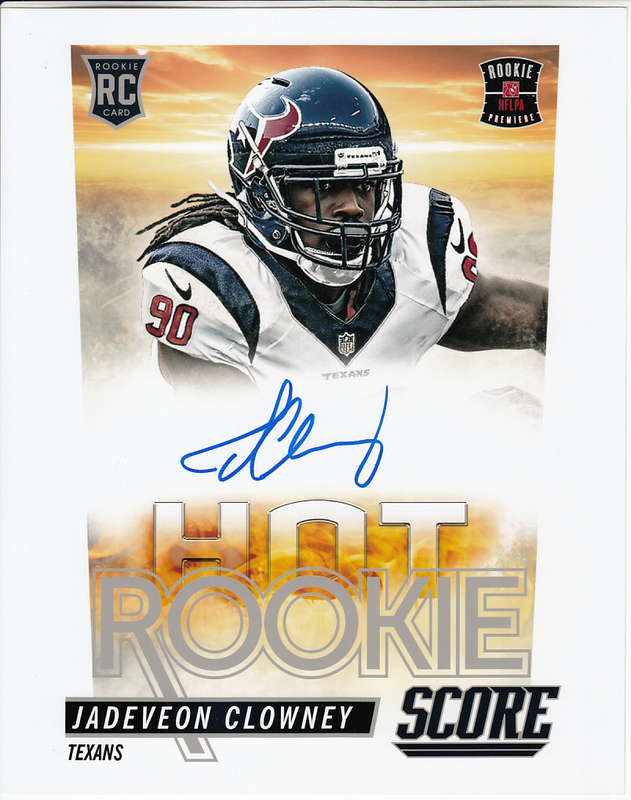 2014 NFL Rookie Premiere promotional Score Rookie Card 8x10 photo of Jadeveon Clowney autographed in blue Sharpie. 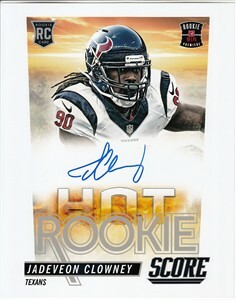 Obtained at the event, with certificate of authenticity from AutographsForSale.com. ONLY 2 AVAILABLE FOR SALE.